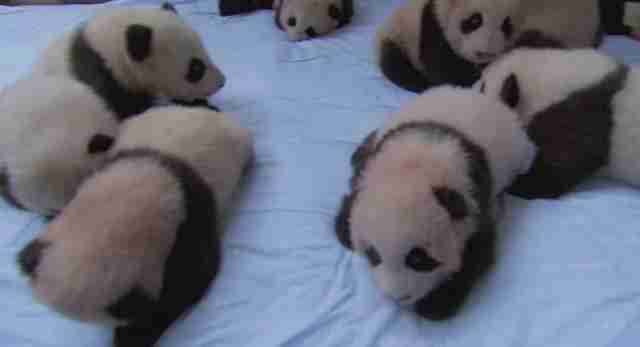 14 Baby Pandas Snuggling On A Bed? Yes, Please. 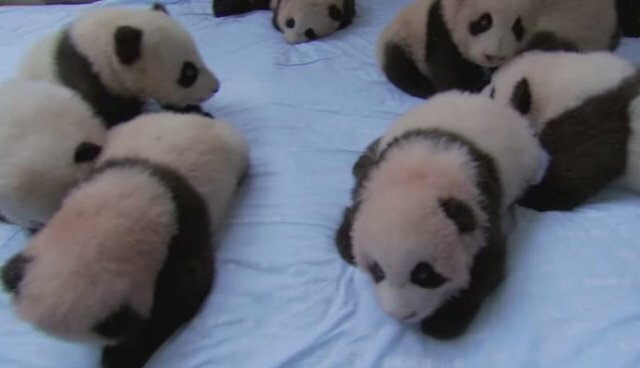 If you've never seen 14 baby pandas sitting on a bed, here's your chance. In the PBS series "Earth: A New Wild," which premieres Wednesday, conservationist M. Sanjayan travels the world to look at all sorts of wild critters. 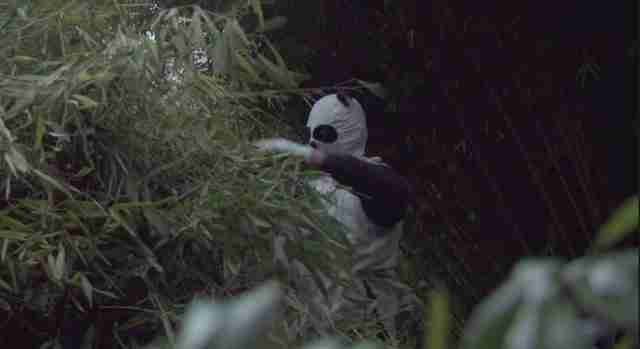 The scene takes place at the China Conservation & Research Centre for the Giant Panda in Sichuan province. 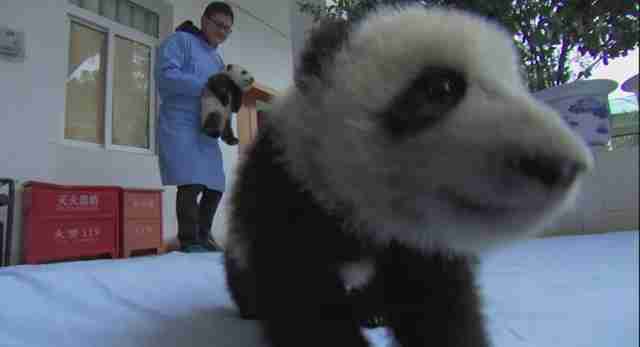 Sanjayan told Mashable that the "Chinese have now cracked the code on how to breed [pandas]. And actually how [to] take a captive-born animal and put it back in the wild, which is really the holy grail of re-wilding." Cracking the breeding code, so to speak, couldn't have come at a better time. The population of endangered pandas, according to the International Union for the Conservation of Nature, numbers in the thousands and continues to fall.